Swiss design is characterised by its hybrid status – it is influenced by the German tradition of functionalism and the Italian radical design of the 1960s. Swiss design lies somewhere between ‘form follows function’ and ‘anything goes’ – it is functional yet rich; linear while unexpected; practical and refreshing. Design is not just random decoration, but the discreet expression of a surprising and innovative concept. Design is by no means merely technical, but it is not always art either – it moves between these different spheres. Accordingly, the protection of design in Switzerland represents this hybrid approach. Design is expected to be simultaneously pleasant and practical, an object of art for some and a basic commodity for others. Both copyright and patent law affect its legal framework of protection, even though designs are protected in Switzerland by separate legislation that enjoys a long tradition. Shortly before the harmonisation of design law in EU member countries (of which Switzerland is not a member) and the implementation of the EU Community design, Switzerland modernised its legislation and introduced the Federal Act on the Protection of Designs, which has governed Swiss design law since 10 July 2002. The government also enacted the Ordinance on the Protection of Designs, which primarily pertains to the procedure of registration. The Designs Act protects the design of products or parts of products that is characterised, in particular, by the arrangement of lines, surfaces, contours, colours or materials used. Given that Switzerland is a contracting party of the Hague Agreement concerning the international registration of industrial designs, any person who designates Switzerland in an international filing of an industrial design will thereby obtain the protection of the Designs Act as if the filing had taken place in Switzerland. Where the provisions of the Hague Agreement are more favourable than the provisions of the Designs Act for the owner of the international filing, the provisions of the agreement take precedence. The Designs Act does not protect unregistered designs. A design right is established only on entry in the Design Register, after which the design benefits from five years of protection (which may be extended for a maximum of four further five-year periods). imitation of a variety of details which, in an overall view, leads to a likelihood of confusion. A design can be filed only by the person who has created it, his or her successor in title or a third person whose right is based on other legal grounds. A design is protected only to the extent that it is new and has individual character. A design is not new if an identical design which could be known to those circles specialised in the relevant sector in Switzerland has been made available to the public prior to the filing date or priority date. Similarly, a design lacks individual character if the overall impression it produces differs only in immaterial features from a design that could be known to the circles specialised in the relevant sector in Switzerland. Although there is a novelty requirement, a non-prejudicial disclosure is possible under certain terms: the disclosure of a design may not be invoked against the rights holder during the 12 months preceding the filing date or priority date if a third party has disclosed the design in an abusive manner to the detriment of the entitled person or if the person entitled has disclosed the design themselves. the design is contrary to public policy or morality. In contrast to numerous other countries, spare parts or other parts that are applied to or incorporated into products constituting component parts of a complex product that are not visible during normal use of such a complex product are eligible for registration. However, such component parts must satisfy the novelty and individuality requirements on their own – it is not sufficient if only the complex product as a whole meets the requirements. As of 31 August 2018 the fee for a design registration is Sfr200 for a single design. Each additional design costs Sfr100, with a maximum fee of Sfr700. Designs that belong to the same product class under the Locarno Agreement Establishing an International Classification for Industrial Designs may be filed as a multiple application – there is no limitation regarding the number of designs that can be filed in one application for the maximum Sfr700 fee. However, if the design registration contains more than one illustration – which is necessarily the case where a multiple application is filed – a publication fee of Sfr20 per additional illustration is due. The renewal fee is the same for each protection period: Sfr200 for a single design and Sfr100 for each additional design, with a maximum fee of Sfr700. surname, first name and residence of the creators (eg, the designers). a description of the design (of up to 100 words). Applicants may request in writing that publication be deferred for up to a maximum of 30 months from the filing or priority date. During this period, the rights holder may request immediate publication at any time. Thus, novelty, individuality and whether the design is dictated solely by its technical function are not examined. However, the IPI has full authority when examining the formal aspects of an application (eg, payment of fees and suitable representation of the design for reproduction). second, if a defendant has not received a warning letter and immediately after the initiation of court proceedings halts the infringing use of a registered design, Swiss courts will usually consider this fact to the detriment of the plaintiff when allocating the costs of litigation. Design infringement proceedings usually take between one and four years. require the defendant to provide information on the origin and extent of unlawfully manufactured items in their possession, name the recipients and disclose the extent of any distribution to commercial customers. Actions for damages and handing over of profits are also possible. Actions brought forward by licensees are admissible only if they are filed by the exclusive licensee or if the non-exclusive licensee has been authorised to do so by the rights holder. All licensees have the possibility to join an already pending action to claim damages (independently of the right to sue). provisionally enforce claims for injunctive relief and remedy. When seeking an injunction, rights holders should keep in mind the recent Federal Supreme Court of Switzerland verdict (4A_565/2016), which stated that the existence of a violation of a design right is determined only by comparing the alleged violating product and the filed illustrations. Other elements (eg, marketing, pricing or production methods) are irrelevant. Further, the overall impression is determined by distinctive elements (eg, arrangement and proportions). Details, on the other hand, are not considered. Designs are also protected under criminal law. Following a complaint from the rights holder, any person who wilfully infringes the design right of another is liable to a custodial sentence not exceeding one year or a monetary penalty if he or she unlawfully uses the design, participates in, encourages or facilitates such unauthorised use or refuses to provide the competent authority with certain information. If the offender acts for commercial gain, he or she will be prosecuted ex officio and the penalty can amount up to a custodial sentence not exceeding five years and a monetary penalty. A registered design can be transferred in whole or in part through the conclusion of a contract. The transfer is valid only if evidenced in writing. An entry in the register is unnecessary. However, in relation to third parties acting in good faith, the transfer is effective only once it has been entered in the register. Until then, licensees acting in good faith may discharge their obligations to the former rights holder and actions under the Designs Act may be brought against the same. The registration of the transfer must be applied for by the former rights holder or transferee. The application must include an explicit statement of the former rights holder or a similar document which confirms the whole or partial transfer of the right to the transferee, as well as first name, surname (or company name) and address (or delivery domicile in Switzerland) of the transferee. The rights holder may permit third parties to use the design right or individual rights conferred by the design right either exclusively or non-exclusively. The licence is entered in the register only at the request of one of the parties involved and it is strongly advisable to do so. The licence becomes binding only on any rights to the design subsequently acquired if it has been entered in the register. A design object can also be protected by copyright law as a work of applied art if it shows individual character. In order to construe this protection requirement and to assess possible differences between copyright and the Designs Act, it is necessary to look at the pieces of legislation in all official languages. The Designs Act, like any piece of legislation in Switzerland, is translated into three official languages, and every language edition is equally valid. While the Designs Act requires ‘eigenart’ as a protection requirement in the German version, and ‘original’ or ‘originale’ in the French and Italian versions respectively – Swiss copyright law requires ‘individueller Charakter’ for a work of art. Thus, there seems to be a clear distinction. However, unfortunately both terms, ‘eigenart’ and ‘individueller Charakter’, are translated into English as ‘individual’ or ‘individual character’. So even if ‘individuality’ seems to be a protection requirement under both copyright and design law, they describe somewhat different standards. Historically speaking, jurisprudence considered the standard of individual character, as required by copyright law, to be higher and harder to meet and thus only renowned pieces of applied art (eg, icons of the Bauhaus era or post modernism) were usually granted copyright protection. Thus, objects that fall under the Designs Act will only rarely be protected by copyright law as well. Such objects would generally need to be showcased in galleries or museums and thus be considered extraordinarily artistic – which is, for example, the case for some design icons, such as Le Corbusier or Eames chairs. While three-dimensional marks can benefit from trademark protection, this does not mean that every product design can also be a trademark. Shapes that constitute the nature of the goods themselves or shapes of the goods or their packaging that are technically necessary are explicitly excluded from trademark protection. According to contemporary understanding, the nature of goods cannot be determined only by their construction and material, but also by their form. Usually, goods are not given a specific form in order for them to be distinguished from goods of another merchant, but rather for them to be able to serve a specific purpose or to be aesthetically pleasing. Therefore, Swiss courts usually follow the prevailing function of the goods in question. The Designs Act excludes designs from its protection whose features are dictated solely by the technical function of the product. Simultaneously, patent law does not protect aesthetic creations. Hence, the overlap between these two fields of law is relatively small. Unfair competition law can complement or even replace the protection granted by the Designs Act. This is particularly the case in instances where the form of the product has acquired distinctiveness – for example, when design protection has lapsed but the former rights holder has been the sole merchant active on the market with its design. 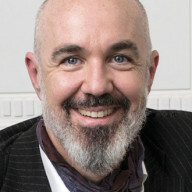 Robert Stutz has focused on designs since the beginning of his career, having written about design rights in his 2001 PhD thesis and several articles, as well as being co-author of a commentary on Swiss and international design law. As co-chair of the MARQUES designs team, Dr Stutz is strongly involved in Hague Agreement matters and has published various articles on the topic. He was admitted to the bar in 1992 and obtained an LLM (London) in 1996 in international IP law. In 1993 he began lecturing at different technical colleges and universities. Dr Stutz is partner and co-founder of Beutler Künzi Stutz AG, a law firm established 1998, specialising in IP matters and involved in prosecution and litigation cases, advising and representing national and international clients.